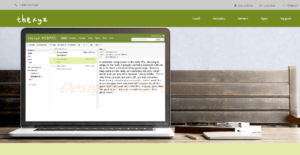 Thexyz Webmail is a dependable enterprise-class email solution that synchronizes the user’s mobile devices, desktops, webmails, and mobile apps where they add their emails in. Boasting of 100% uptime guarantee, Thexyz Webmail allows for seamless and smooth managed email processes, from comprehensive and compliant email archiving to quick email migration from one service to another. With Thexyz Webmail email archiving feature, there is no need to install a separate software or acquire another expensive hardware. On top of that, Thexyz Webmail’s managed cloud hosting assures users that they get the top standard of integration, collaboration, sharing, and communication through Microsoft Exchange. Thexyz Webmail’s plethora of features include a shared calendar, Cloud Drive, Spam Protection, Full Email Encryption, Aliases, SMS and Email Reminders, Notes, Tasks, and Company Directory to mention some. Thexyz Webmail makes contact synchronization a breeze. Set Thexyz as your default storage for contacts and enable its MobileSync service to synchronize all your contacts on any mobile device you add your email to. You never have to worry about losing your contacts again as you can easily access and retrieve them from Thexyz whenever you have to. Ensuring that all your email data stored and secured is a paramount concern for any business or organization. Thexyz email automatically backs up all your emails nightly via their top-tier data centers. You also have the option to upgrade your package’s archiving feature with FISMA compliant Email Archiving. Thexyz Webmail comes with a Webmail calendar app that allows you to share your calendar through a private or public link. You also have the option to provide permissions to certain team members within your domain access to add or edit appointments in your calendar. This is quite a huge boost for companies that manage bookings. Thexyz Webmail’s MobileSync service lets you sync these calendars with your mobile devices, and desktop. For security, Thexyz Webmail leverages full email encryption to hide all your data during transmission, thus preventing interception by third parties and blocking their access to your sensitive email. What Problems Will Thexyz Webmail Solve? Spam and viruses are a major problem facing organizations today. With a dynamic and growing threat landscape, it is essential to know that you have a solid solution in place to protect against these threats. Thexyz is constantly improving their spam filtering technologies to improve detection of suspicious emails. It is also important to ensure outgoing mail is authenticated and sent from a trusted source to ensure your outbound is staying out of email spam boxes. By enabling all the DNS tools Thexyz provides and by utilizing its reputable IPs, you can be sure your email will be trusted by the most stringent of spam filters. It's crucial to realize that hardly any software in the Communications Software category is an ideal solution able to match all the needs of different company types, sizes and industries. It may be a good idea to read a few Thexyz Webmail reviews first as some services may excel just in a really small group of applications or be created with a really specific industry in mind. Others can work with an idea of being easy and intuitive and therefore lack complex elements desired by more experienced users. You can also come across apps that focus on a large group of customers and give you a rich feature toolbox, but that usually comes at a more significant cost of such a solution. Be certain that you're aware of your requirements so that you get a solution that has all the functionalities you search for. How Much Does Thexyz Webmail Cost? Thexyz Webmail offers the following basic and enterprise pricing options for users to choose from. Give the details a look, and select the best plan for your business. We realize that when you make a decision to buy Email Management Software it’s important not only to see how experts evaluate it in their reviews, but also to find out if the real people and companies that buy it are actually satisfied with the product. That’s why we’ve created our behavior-based Customer Satisfaction Algorithm™ that gathers customer reviews, comments and Thexyz Webmail reviews across a wide range of social media sites. The data is then presented in an easy to digest form showing how many people had positive and negative experience with Thexyz Webmail. With that information at hand you should be equipped to make an informed buying decision that you won’t regret. What are Thexyz Webmail pricing details? What integrations are available for Thexyz Webmail? Thexyz Webmail app is available as a web application for both mobile and desktop, you can also access the contacts, calendars, notes, tasks and email data through the Android and iOS app. Full synchronization is also available with Microsoft Outlook, Mac Mail and other IMAP supported clients. If you need more information about Thexyz Webmail or you simply have a question let us know what you need and we’ll forward your request directly to the vendor.